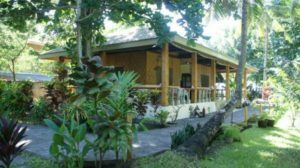 We have added a new island – CAMIGUIN – to our Island-Hopping page. Come and visit Camiguin here. Our guests from Europe like our blue starfish. The photo below shows Diane from Geneva with her blue starfish that will bring her all the luck in 2008. The joint crews of Jawili Blue Starfish Resort and Dumatad Tropic Resort.